The Liberated Soul Collective is going back on the road! We”ll be in the following cities soon, so check the Liberated Soul Collective Facebook Page for venue details! Join Suave and the band for the grand opening of Bangarang’s in Covington, Kentucky on Friday, December 16 at 7pm! 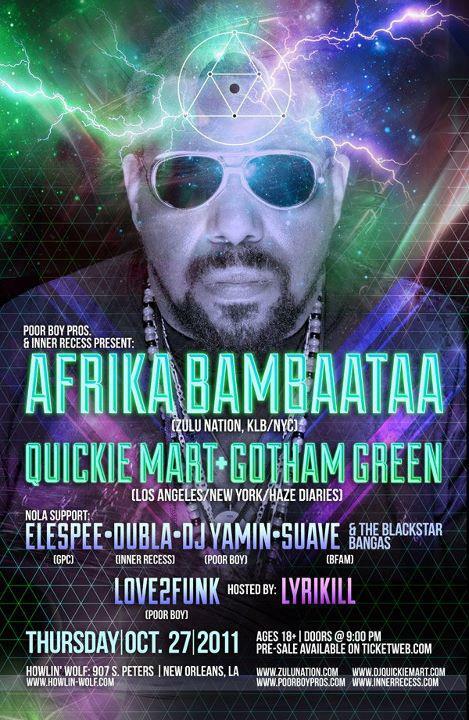 Halloween weekend, Suave and The BlackStar Bangas will be opening for the legendary DJ Afrika Bambaataa at The Maison in New Orleans! Make sure you’re on Frenchmen for this one; it’ll be a show you don’t want to miss! You asked for it, and now you’ve got it! 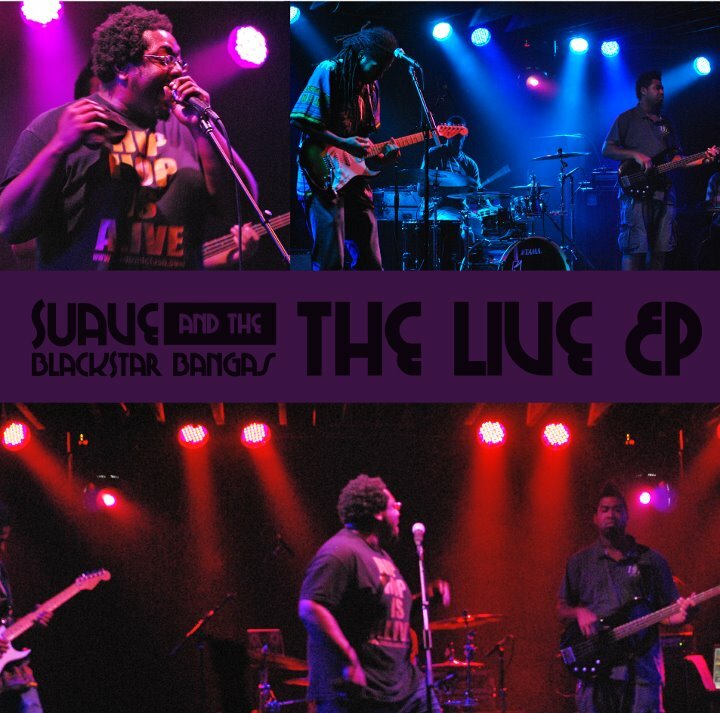 Peep the live version of Suave’s Best Juug Ever from Suave and The BlackStar Bangas Live: The Live EP recorded at Tipitina’s in New Orleans. Download your copy of the full album now! Check out this video of Suave, Lil Dee, and Flow Tribe rehearsing for and performing at the Stop the Violence Concert at The Dragon’s Den in New Orleans.